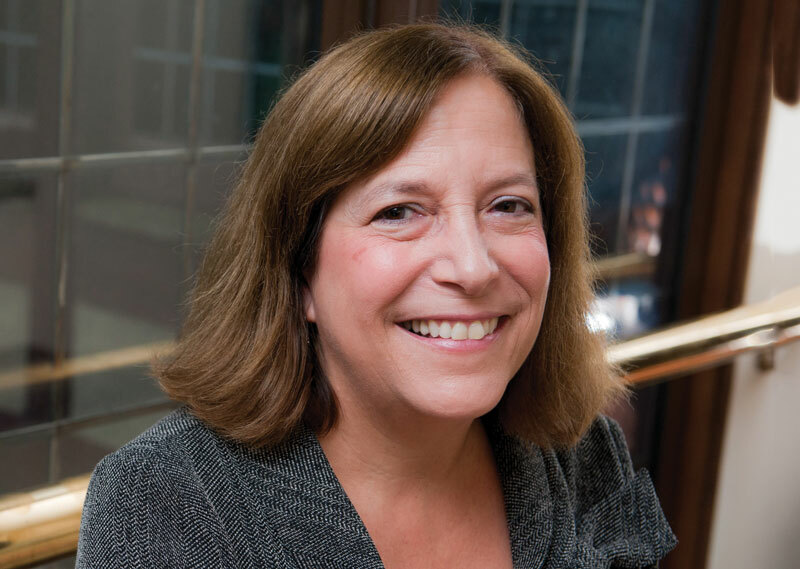 Vassar and the Alumnae and Alumni of Vassar College (AAVC) welcomed Lisa Tessler as associate vice president for alumnae/i engagement and executive director of the AAVC in early September. Tessler comes to Vassar from Colby College, where she served as director of donor relations and philanthropic events. In that role, she provided leadership for a comprehensive stewardship program and oversaw major engagement events on campus and around the country. There, she also orchestrated a successful 19-city bicentennial tour, engaging trustees, overseers, and club leaders as host committee members, and ran the nationwide presidential welcome tour for David A. Greene, Colby’s 20th president. Prior to joining Colby in 2004, Tessler was associate director of alumnae/i relations at Northeastern University School of Law. A 1979 graduate of Bowdoin College, she worked for her alma mater from 1989 to 2003, in roles that included director of the Career Planning Center and director of Alumni Career Programs. She received her EdM from the Harvard Graduate School of Education in 1981. Word is, you relocated from Maine and dropped your son off at college in Ohio at the start of the fall semester. Have you caught your breath yet? Actually, that all happened in a span of one week! In fact, I started work at Vassar the same day my son began his freshman year at Oberlin. We’ve been having fun comparing notes! It’s been somewhat of a seismic shift for our family, but the change has been great. I’m glad to report that I have caught my breath and am absolutely thrilled to be here. You’ve worked most of your career in higher education. Have you noticed differences in the way alumnae/i relate to their alma maters now versus when you started at Bowdoin? And, if so, what specific challenges—or opportunities—do these differences pose? That’s a really great question, and there is a lot to say about both the challenges and opportunities. Traditionally, I think alums have identified most closely with their classmates and their class year, and their desire to engage with their alma maters has stemmed primarily from that interest. While that connection remains primary for many, much has changed. In recent decades, affinity groups have begun to play an increasingly central role in the lives of alumnae/i. Vassar’s AAAVC [African American Alumnae/i of Vassar College] is a remarkable example of this. I am a big fan of affinity group work, and it’s exciting to re-imagine programs both on and off campus that cut across class years and enable graduates from different generations to connect along those lines. Athletics is another affinity area in which I think we need to grow, among others. Increasingly, alums at various stages of their lives, and in particular recent graduates, are looking to their alma maters for networking opportunities as they navigate job and career changes, and there is a higher degree of expectation that college career centers and alumnae/i offices will partner to deliver services in this area. This is one of the priorities I am most eager to hone in on early in my time at Vassar, and I am delighted that the AAVC board is invested in this as well. While the focus should be on enhancing face-to-face interaction, technology offers some very compelling options for virtual networking, and we will be exploring new platforms that we think might address some of the needs of our population. I would be remiss if I did not emphasize that LinkedIn, Facebook, Twitter, and Instagram have altered dramatically the landscape of engagement in recent years, and it is not just the younger alums who are relating to their colleges and each other in this way. Social media is such a powerful tool for messaging information that is important to the institution, and for better understanding the interests and concerns of our constituencies. One challenge is that we compete with other important groups and nonprofits for the attention of our alums, and so we need to build a marketing strategy that will help position us to better reach our audience. One final observation: Alums seem more eager than ever to take advantage of lifelong learning programs, and in some cases, personal development opportunities that are offered by their alma maters. “Back to the classroom” experiences— whether offered during Reunion, through a regional event, on an international trip, or via virtual programming—continue to play a meaningful role in the lives of our alumnae/i, and we should strive to make these programs more relevant and accessible. What are your top priorities for alumnae/i engagement? Vassar has an extraordinarily dynamic and diverse alumnae/i population that maintains strong connections with each other and is passionate about this place. In addition to the incredible work Cappy has done to make a Vassar education accessible to students from all walks of life, that strength is largely what drew me here. I see it as my role to build upon that energy and help channel it in ways that will maximally benefit alumnae/i and the college. My top priority in the coming year is to develop a new strategic plan for engagement that will be guided by input from the AAVC and developed in collaboration with key stakeholders. We will align our work with industry best practices and establish clearly defined goals for the AAVC board, committees, and the staff. This may sound a bit formulaic, I realize, but it’s important. I’m particularly keen on supporting meaningful volunteer roles at the AAVC board and club/regional network levels. Together, we will take a close look at engagement metrics, not just the quantitative, but also the qualitative success of our events and programs. There is clearly opportunity for increased outreach and engagement with various affinity groups, including athletics and academic departments, as well as diversity groups. I’d also like to expand our thinking about life-stage-appropriate programming, with a focus on the unique interests of alumnae/i up to 10 years out. Through career networking initiatives, we will embark on regional outreach and engagement strategies that will benefit this group. Alumnae/i thrive on contributing their time and talents to enrich the lives of Vassar students, and students value that interaction. This is by far one of the most important things we must strive to accomplish, and I look forward to exploring new and creative approaches this year in collaboration with the AAVC. As for desired outcomes, my hope is that alumnae/i across the spectrum will feel engaged and inspired by their vital participation in this community, and that Vassar becomes the “go-to” place in their minds as they think about their social, networking, and philanthropic priorities. Vassar’s Career Development Office and Alumnae/i Affairs have greatly benefitted from collaborating on a variety of recent initiatives. What do you expect this partnership to yield over the next few years? Yes, that is absolutely true, and they are to be applauded for their exemplary work in piloting the Sophomore Career Connections program, which will be repeated again this January. In my view, a strong collaboration is key to the success of both departments, and members of the AAVC are looking forward to working closely with Director of Career Development Stacy Bingham and Senior Director of Alumnae/i Engagement Willa McCarthy [’92] on some new initiatives that will potentially benefit both students and alumnae/i. As I alluded to earlier, we want to elevate the level of networking opportunities in key markets and then, based on our successes, branch out to other regions, nationally and globally. This is where tapping into the Vassar clubs and emerging regional networks is going to be very important, and we plan to embark on a strategy to leverage the strong presence of volunteer leaders in these areas to kick-start a signature program. This type of engagement is considered an industry best practice. We may also want to afford enhanced opportunities for virtual networking in less-populated geographic regions where we may not be able to facilitate “live” interactions. Over the past month, you’ve begun to travel to some of our larger alumnae/i hubs in order to meet members of the Vassar community. What sticks with you the most? It’s been wonderful to travel early in my tenure and meet leaders of the Vassar clubs and regional networks to strategize about what we can accomplish in the years ahead. What I have discovered is that there is a powerful, global community of alumnae/i who care deeply about this place and want to contribute their time and talent to making it even better. Establishing these relationships is one of the most rewarding parts of this job, and I look forward to many more stimulating conversations!